Over the ten years from 2007 to 2016, Ontarians paid a total of $96.3 billion more in federal taxes than they received in federal spending. In 2016 alone, that gap was $12.9 billion. 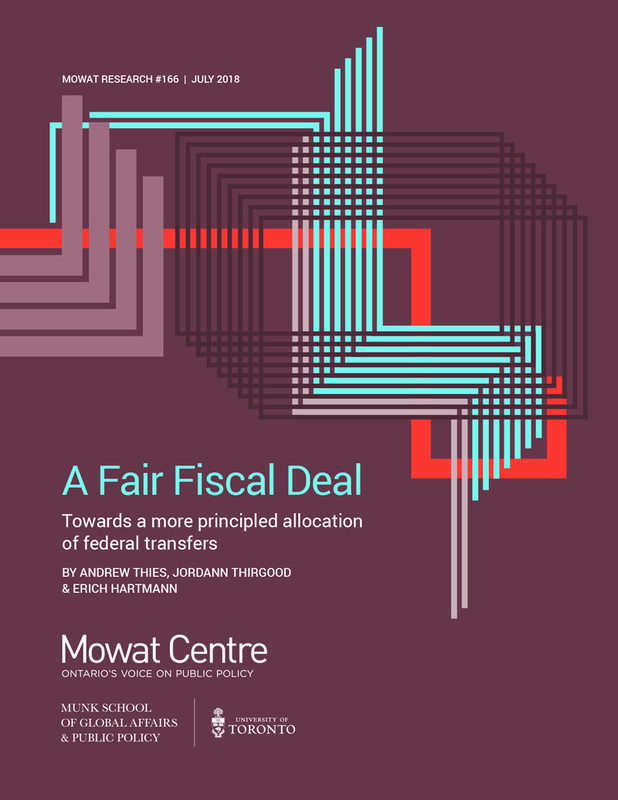 This is the key finding from A Fair Fiscal Deal: Towards a more principled allocation of federal transfers, Mowat’s latest report. A certain degree of redistribution from wealthier provinces to less prosperous ones is fully justified in a federation – provided it is done in a fair manner. The report examines the fairness of Canada’s main transfers to provinces and individuals by assessing whether funds are distributed on the basis of clear and transparent principles appropriate to the transfer’s objective. We find that some of Canada’s transfers – Old Age Security, the Canada Health Transfer and the Canada Social Transfer – meet this test. But other major transfers – Employment Insurance, Equalization, and at least some transfers generally classified under the “Other Transfers” header – allocate their funding in an unprincipled manner. 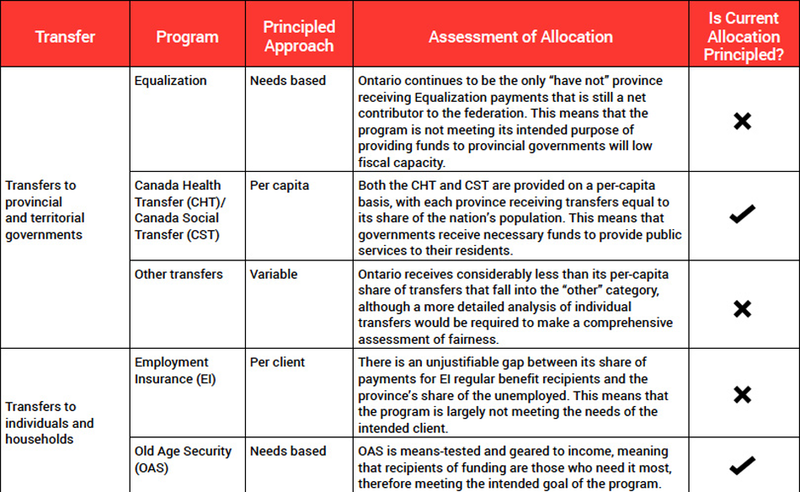 These unprincipled allocations significantly contribute to Ontario’s fiscal gap.